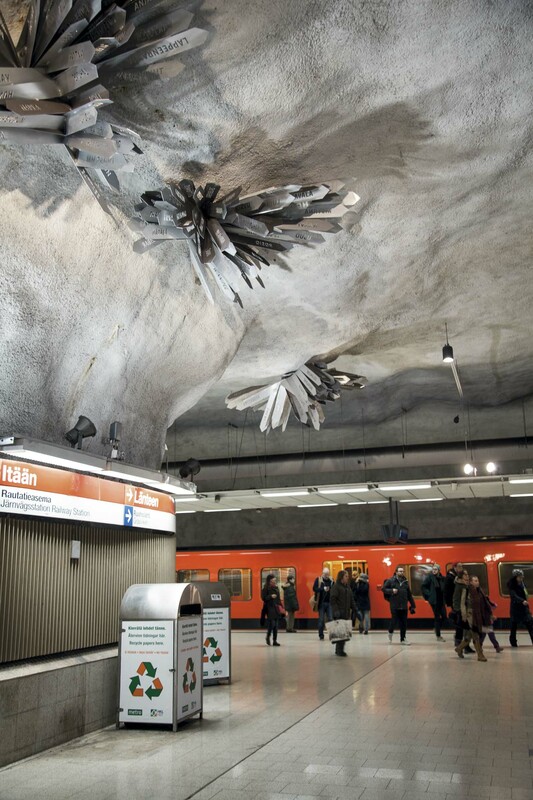 Roots of the City is a sculptural artwork commissioned by Helsinki Art Museum. The work touches on the questions of identity and demographics of a city. 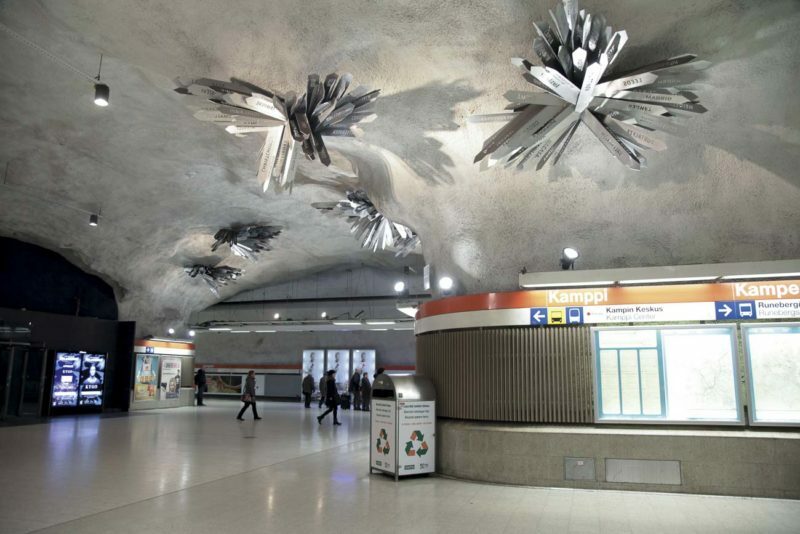 The work consists of seven crystal-like formations that hang from the ceiling of the station hall. 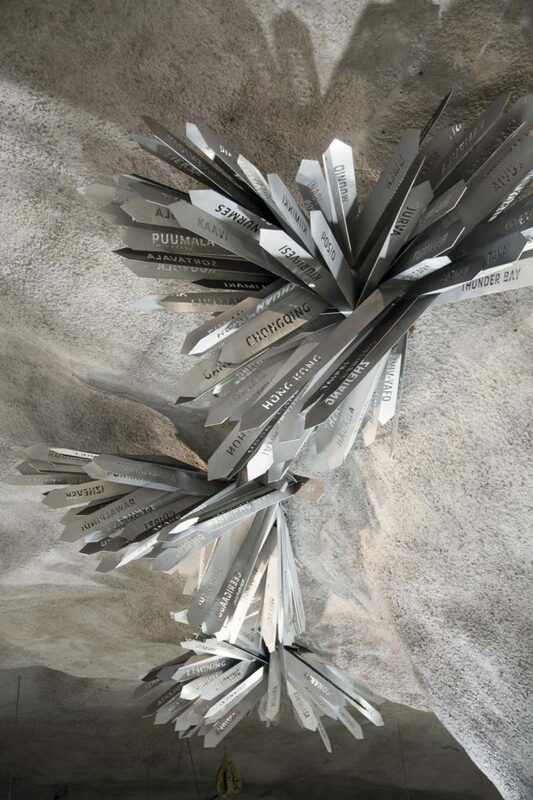 The formations are made of 735 aluminum signs that point directly to places of origin of Helsinki residents. Kamppi metro station is one of the busiest spots of public transport in Helsinki with approximately 20000 people passing through daily. Helsinki is an international and multicultural city, with people from every corner of the world, from Africa to Far-East, South-America to Lapland. The city belongs equally to each of its residents, regardless of the place of origin or official status. The work includes only a fraction of the thousands of places where residents of Helsinki originate from. 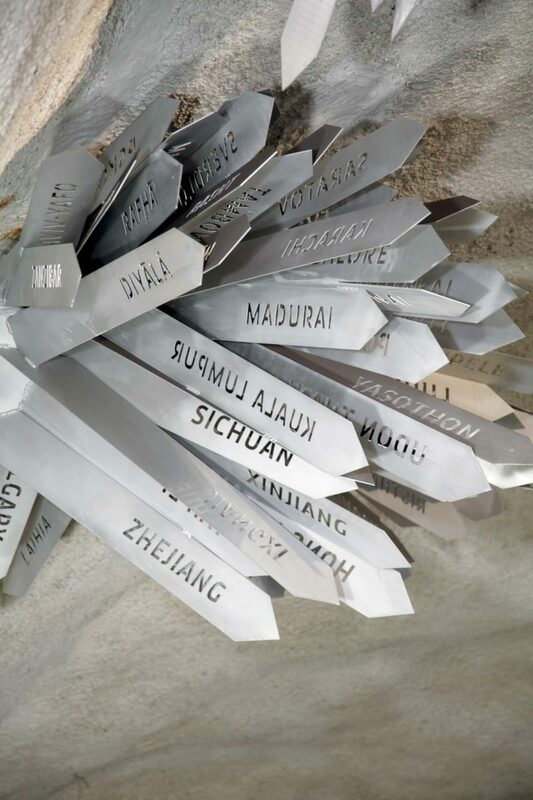 Each place mentioned, though, is extremely meaningful to someone. If you for example find your own hometown from the myriad of signage, you may send your telepathic greetings there – in the right direction. The directions of the signs were defined by Nina Kolu from Helsinki University Geographic Department. The lighting of the work is designed by Taneli Pyysalo.